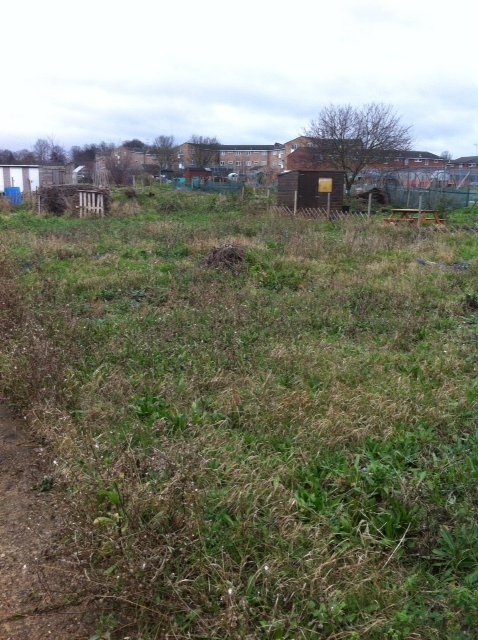 In the Christmas holiday we acquired an allotment from the council. I have been on the waiting list for around 4 / 5 years nd had started to think we would never get to the top of the list … but at the end of the year we did! 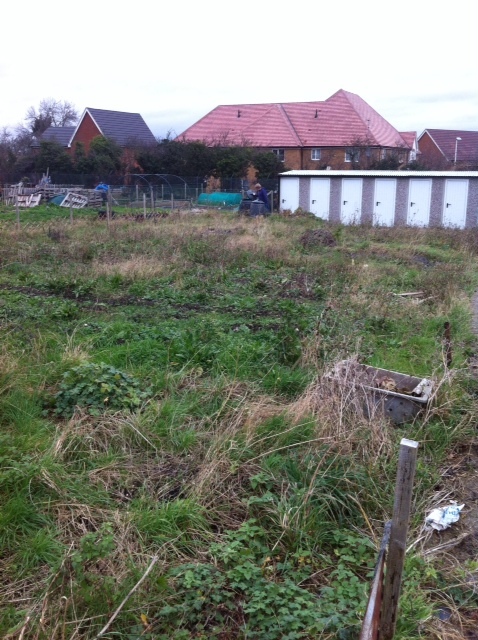 Our plot has been neglected a bit and needs a lot of work but we have been slowly working on little bits by clearing rubbish, strimming areas and starting to dig beds for stuff we are going to grow. 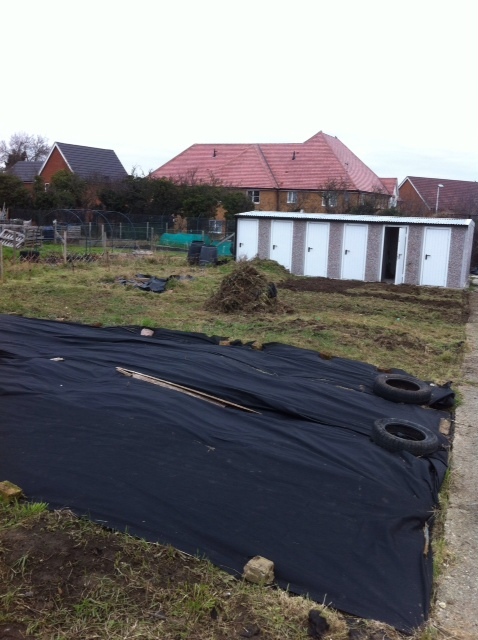 We have even covered others areas with weed suppressing cloth … aren’t you impressed! The allotment also has a pond on it which Joe is going tombe responsible for which I hope will add to our organic vision for our plot. This half term week I have spent most mornings working for around 3 hours on the allotment and been loving the space, the quiet and the freedom of working in the outdoors. It gets quite buy at the weekend, but during the week, it seems, the place is pretty quiet. I have found that the allotment can be a great place of retreat. 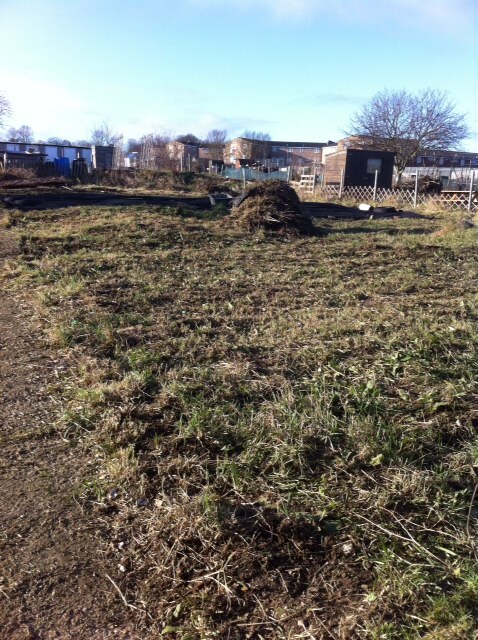 The regular and repetitive tasks on the allotment such as weeding, digging, sweeping or planting help me as I pray and reflect on what has gone and what may be ahead. It reminded me of my weeks retreat a long time ago with the Northumbria Community when Rob, my guide, set me a bible passage to mull over as I planted potatoes. The repetitive activity of planting really enhanced my thinking and listening to God. The other week I spoke a homily based on the parable of the sower which was written in my head while working on the allotment. This has traditionally been thought of as a parable speaking of who will be in God’s KIngdom and who will be excluded. I am always uncomfortable with any interpretation which talks of a loving God excluding people. As I worked I rethought the parable and thought of it more as a parable of soils rather than sowers. I did this as I noticed that all the allotments are identical in size but differ in their proportions of different soils which each allotment having some areas which are very fertile and are being fully cultivated and are fruitful, while some areas are hard and compact and have been paths for years, and will remain paths. 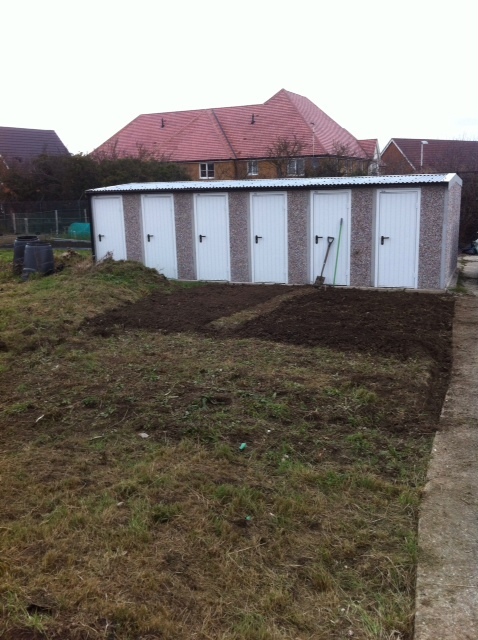 Other bits are full of rocks and need ‘sifting’, while yet other bits are quite weedy and thorny and need clearing. I also noticed the plots which always seem to have the owner working on them whenever I visit tend to be the plots which have more fertile ground than others. by saying: ‘If you are like me, (and my allotment!) your life is going to be like a field. Some of is the hardened first soil, some of it is the rocky soil, some of it is the thorny soil, and some of it is good soil. The goal is to till the hardened soil, clear away the rocks, and burn out the thorns so that our entire field becomes good, fertile soil. We are all like allotments with our mixture of life stuff where we don’t want to hear from God and avoid him, mixed with the rocks that trip us up and the thorns we don’t realise are snagging us. But we all have good soil too, those areas of our lives where we allow God to change us. I wonder whether this parable talks to us more about our personal lives and discipleship than it does about who is ‘in’ and ‘out’ of God’s Kingdom. I wonder if it is more about God challenging us to give over more of our lives to God. As we approach Lent, I wonder if this parable is not so much about who believes the right or wrong things, but about giving up ideas of the importance of ourselves and in that giving up, allowing God to remould us and recreate us into the people we are supposed to be. I just wonder …. This entry was posted in faith, kingdom, lent by robryan65. Bookmark the permalink.